Anyone who reads this book will recognize immediately that no “crime” is being committed here! All of this author’s talent is given full sway in a mind-boggling “quest novel” which operates under its own rules, defies expectations, twists and turns on its own momentum, and ultimately resolves itself in ways the reader never predicts. 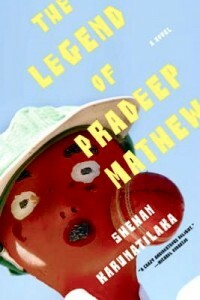 Entitled Chinaman: The Legend of Pradeep Mathew in the UK, the novel has received rave reviews from every major newspaper that I checked there, but then, UK readers probably include many passionate cricket fans who appreciate references that will elude most readers in the US. Cricket plays an enormous part in the lives of the main characters here, to the exclusion of much of the in-going political turmoil which has threatened their country and changed it over the years – “the match would go on even as the world crumbled,” they assert. American readers who are passionate about their home teams in the various sports which dominate American culture, will find that though the first hundred pages of this novel may be challenging because of the unfamiliar cricket vocabulary, the book itself is ultimately not just about cricket, as much as it is about people living in a country which has marginalized them, people who love cricket because it provides them with an exciting escape from the everyday humdrum (if they are lucky) and people who believe that cricket offers some structure in which the injustices of their lives can be seen playing out against the larger world. 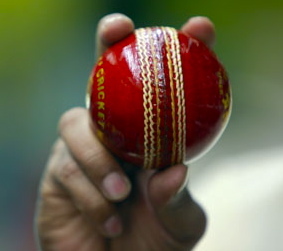 The Sri Lankan team rarely wins, but the passion with which the fans support it suggests that they find their losses attributable to “cosmic” forces beyond their control, such as corruption, game fixing, the interference of the government, and tampering with players, all of which appear in this novel. 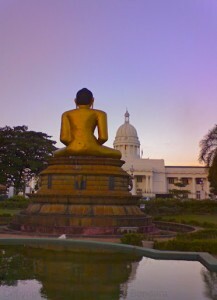 Racism and the stratification of Sri Lankan society also play a role. Wijedasa Gamini Karunasena, known as Wije, the main character here, is a sportswriter who has covered cricket for years. Winner of Ceylon Sportswriter of the Year, 1969 and 1976, he has worked for the major newspapers and broadcast venues in Sri Lanka. He has always believed Pradeep Mathew, a Tamil who was a star in only four games over his career, to be the best cricket player in Sri Lanka, someone whose feats have been wiped out, somehow, in the records. 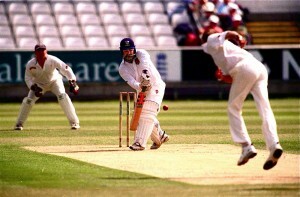 Though hobbled by drink, and in poor health, Wije and his friend, Ariyatne Cletus Byrd, his statistician, buddy up and decide to produce a documentary with the help of SwarnaVision, about the best cricket players in Sri Lanka, with one whole episode devoted to Pradeep Mathew, whom he describes as “perhaps more rat than squirrel. Not so much the polecat beast that roams our roof, but more akin to the grey kitchen mouse that no one wants to touch.” As Wije does his never-ending research on Pradeep, he discovers that every lead seems to end, that every clue seems to disappear, and that Pradeep seems to be on the receiving end of a plan to wipe him off the face of Sri Lankan cricket history. Two major achievements are always identified with Pradeep: He is the person who took a pitch called “the Chinaman” to new heights, a left-handed pitch, a “googly,” which looks as if it will break INTO a right-handed batter on the bounce, but breaks AWAY instead. His other achievement involves a double bounce as it comes in on the batsman, illegal in some games but practiced unofficially. 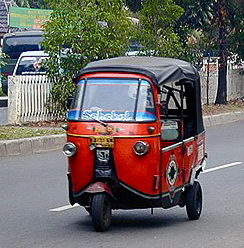 As Wije obsesses about Pradeep and tries to locate him for interviews so that he can add information to the documentary and to the book he is writing, he finds himself constantly coming up against dead ends, After posting ads in the local newspaper, he gets some clues, but many of these prove to be false alarms, with some people claiming that Mathew is dead, while others claim he has moved to New Zealand. 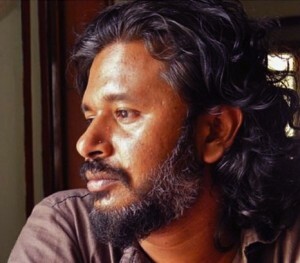 Sri Lankan author Shehan Karunatilaka writes an unusual and sometimes wacky story about Wije’s quest to find Pradeep Mathew, while all the world around Wije is crumbling. The novel, filled with wonderful dialogue and humor, portrays life in Sri Lanka in ways not seen before in literature. Whether or not the reader is interested in cricket (and the novel will be much more enjoyable to those who are), the novel manages to be filled with action, able to sustain suspense because of the charm and attraction of the main characters, regardless of their problems. The line between what is true and what is fictional blurs, and the reader benefits from the mystery and the uncertain chronological time line which keep the suspense lively. A unique look at an unusual part of the world through a sport which few Americans know or understand. A rare video of the Australia vs. Sri Lanka match in 1992 appears on YouTube. The first 1:15 minutes are about the various players, but then the action begins.